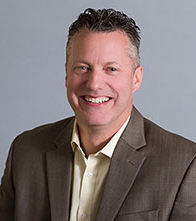 BUFFALO GROVE, IL – November 29, 2018 – ALE, operating under the Alcatel-Lucent Enterprise brand, announced they have appointed Darren Giacomini, Director of Advanced Systems Architecture at BCDVideo, to their Global Customer Advisory Board. “We are pleased to extend BCDVideo a seat on the ALE Customer Advisory Board. The Board is composed of select representatives from across the globe who are market influencers in their respective industries. We look forward to collecting first-hand insights from a circle of elite leaders that will influence our go-to-market strategies and ultimately help serve our customers more effectively,” noted Kevin Coppins, Senior Vice-President of North America Sales, ALE. It is an incredible honor to be named to the ALE Global Advisory Board. This opportunity allows me to provide feedback and insight to the real-time issues that physical security integrators face on a day to day basis. It also empowers me to help shape a solution that delivers outstanding performance, while reducing deployment complexity, by leveraging Shortest Path Bridging technology. I look forward to helping ALE deliver the solution that sets the industry standard for the networking of video surveillance data, says Darren Giacomini. Darren has over 16-years of networking experience. His latest project includes Shortest Path Bridging (SPB) technology offered on the Alcatel-Lucent OmniSwitch® family of products, the joint offer creates a highly available network that exceeds speed and management requirements to support the massive data transfer and file volume of a surveillance system, as well as engineering networking solutions. He specializes in designing and implementing high availability infrastructures to support real-time video surveillance applications for BCDVideo’s security integrator customers. ALE’s mission is to make everything connect to create the customized technology experiences customers need. From the office, the cloud or a combination of the two, they deliver networking, and communications that work for people, processes, and customers. A heritage of innovation and dedication to customer success has made ALE an essential provider of enterprise networking, communications, and services to over 830,000 customers worldwide. With global reach and local focus, more than 2200 employees and 2900+ partners serve over 50 countries marketed under the Alcatel-Lucent Enterprise brand.